Founded in 1957, Vistage Worldwide, Inc., headquartered in San Diego, California, is the worlds leading peer advisory membership organization, serving more than 16,000 CEOs and senior level executives in 15 countries. Vistage members participate in monthly Chair-led peer advisory group meetings, receive one-to-one coaching, learn from expert speakers, and interact among an international network of business leaders from a broad range of industries. 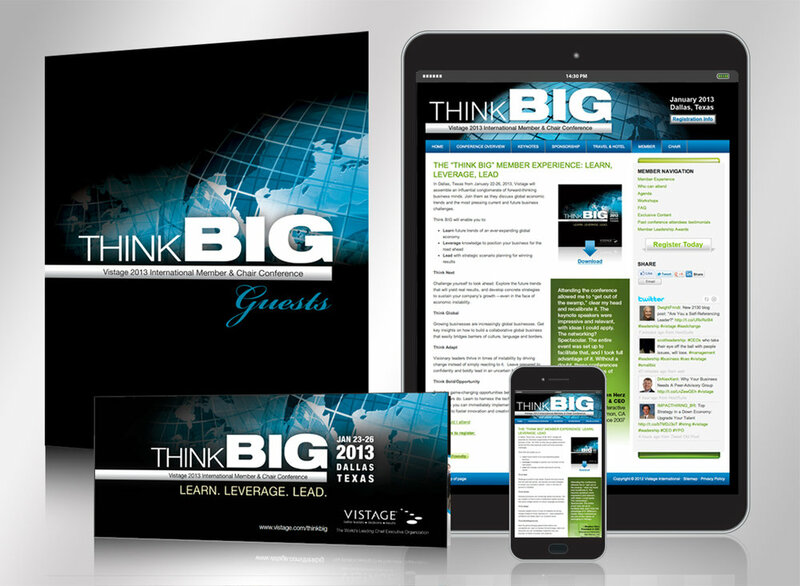 The Think Big Vistage 2013 International Conference brought together hundreds of CEOs from around the world to attend speaker workshops and industry-specific networking events. 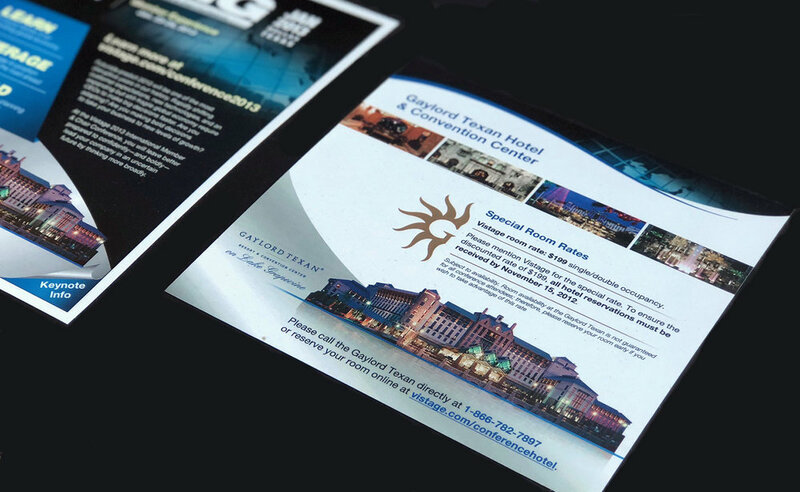 The branding for the event focused on global imagery to represent the enormity of the event, as well as highlighted the Gaylord Hotel & Conference Center where the event took place because of it’s vibrant and upscale atmosphere and culture.